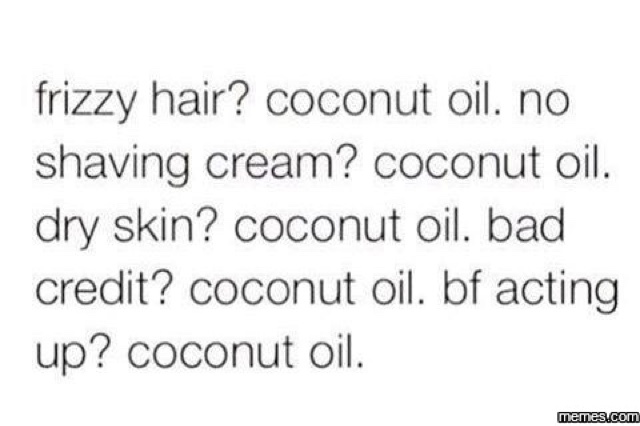 It's become an accepted part of life that you cannot move these days without hitting a tub of coconut oil. It's everywhere; in your food, your beauty products, even your dental care! 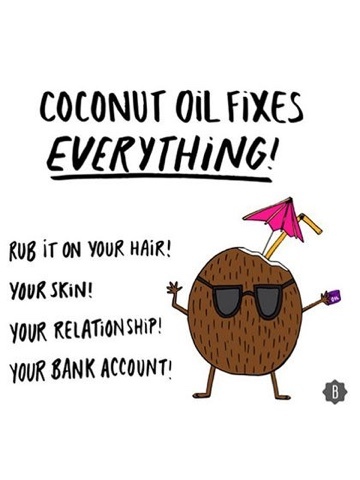 Coconut oil properties are almost endless with anti-oxidant, anti-ageing, anti-fungal, ketogenic, sun-protecting and moisturising being just a few of them! Yes despite being high in calories and saturated fats (which we are demonising less these days) this wonderful beast can do everything! There's a reason it's a meme. 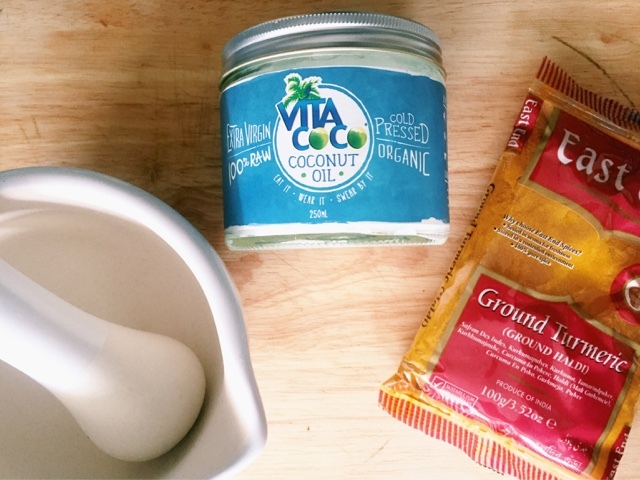 For a while now I've been using coconut oil in my hair, my cooking, and as a cleanser but the lovely folk at Vita Coco Extra Virgin Organic Coconut Oil challenged myself and few others to create our own DIY Coconut Oil Facemasks. Now the recipe they sent to some was a lovely lime jobby. 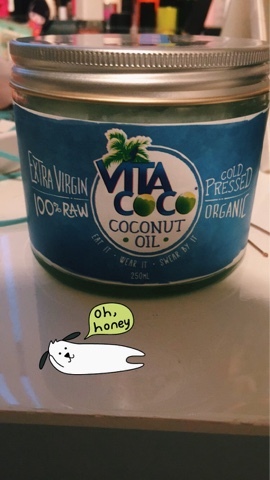 It would have left a zingy refreshing touch to your skin but I've have a hard slog over the past few days/weeks/months and my skin needed something a bit more... Healing. I opted initially for tumeric. A scary thought as I had visions of dyeing my face yellow and having to go into work the next day looking quite odd. 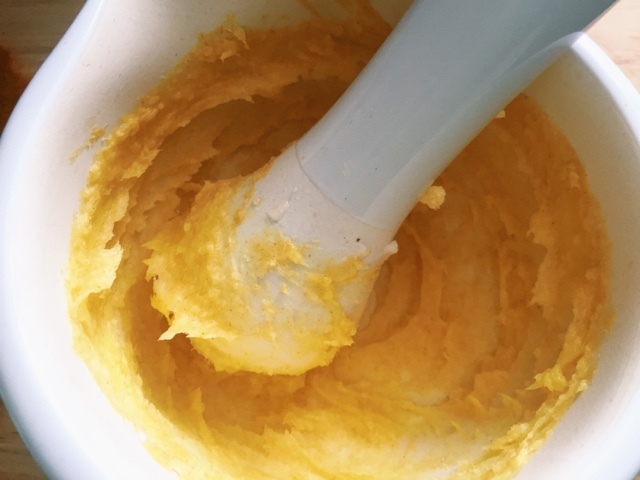 Thankfully my heavy research told me that you only needed a tiny amount of tumeric to make use of its anti-inflammatory purposes (which in this face mask will help with redness and discolouration to even out my skin tone). 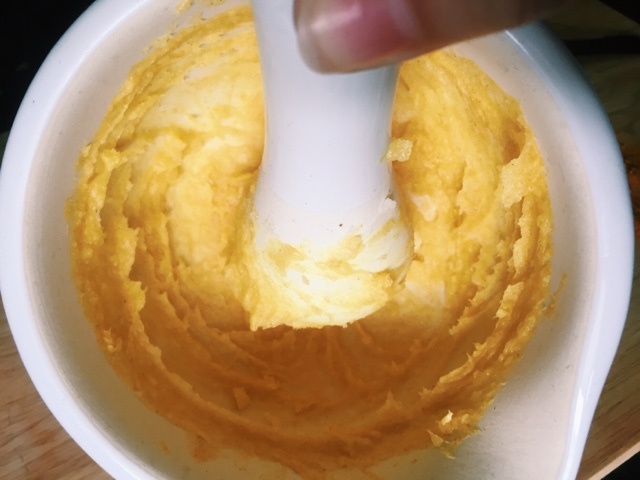 During the mixing I decided I wanted some added "oompf" so I squeezed in a bit of raw honey, sadly not pictured but the brand I use is called Rowse and all of their honeys are raw. 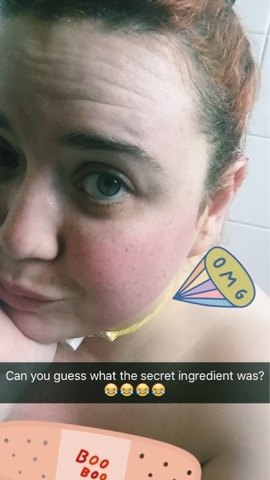 Mine had slightly crystallised which was great because as well as the antibacterial properties I was gaining an exfoliant! Double whammy ingredients for the win! Practically speaking I would definitely recommend doing this one in the bath. Be naked. 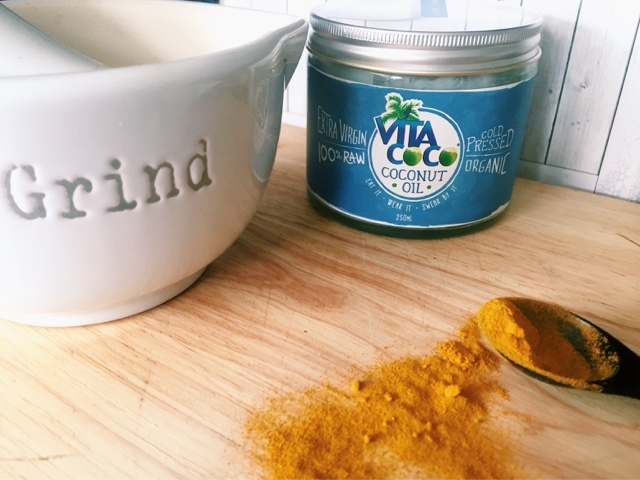 The coconut melts as soon as it comes in contact with your skin (Vita Coco itself is softer than other coconut oils I have used in the past and will melt quicker) so you need to be prepared for drippage, and with the tumeric you need to protect from staining... Nakedness in a large body of water is key. 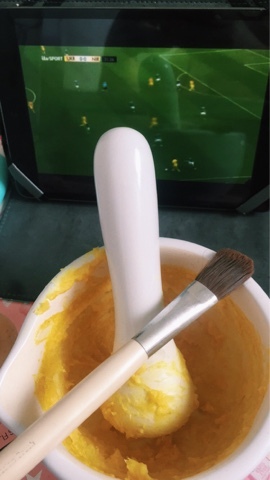 Football as your viewing choice while snapchatting your progress from the bath is optional (I'm weirdly drawn in to this years Euros). And there you have it. My skin was in heaven after this and I'm definitely going to experiment with more DIY masks in the future. 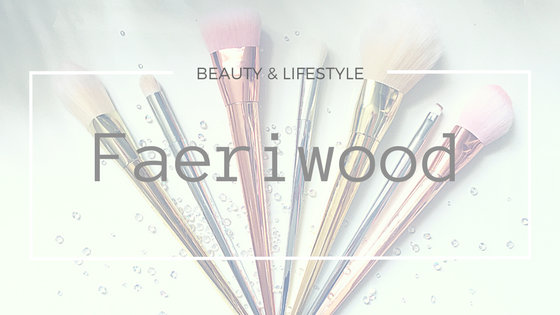 Mix together and apply to face using a flat face/foundation brush. 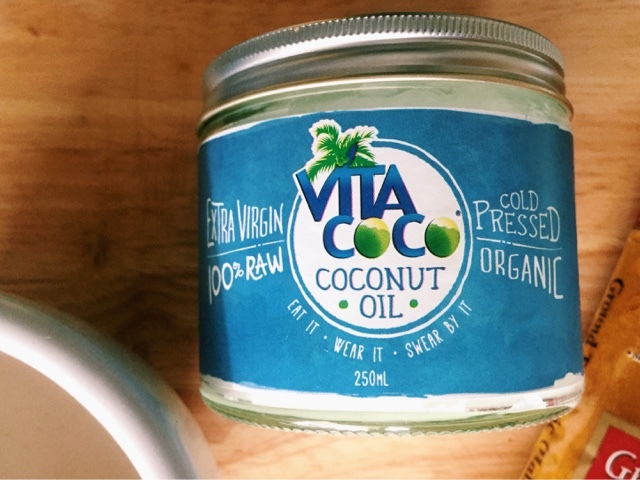 Do not add heat, the coconut oil will soften naturally as you work with it.